It’s December. Time for some Christmas stories. This month I’m going to share a story of a war, a miracle and hopes for peace. 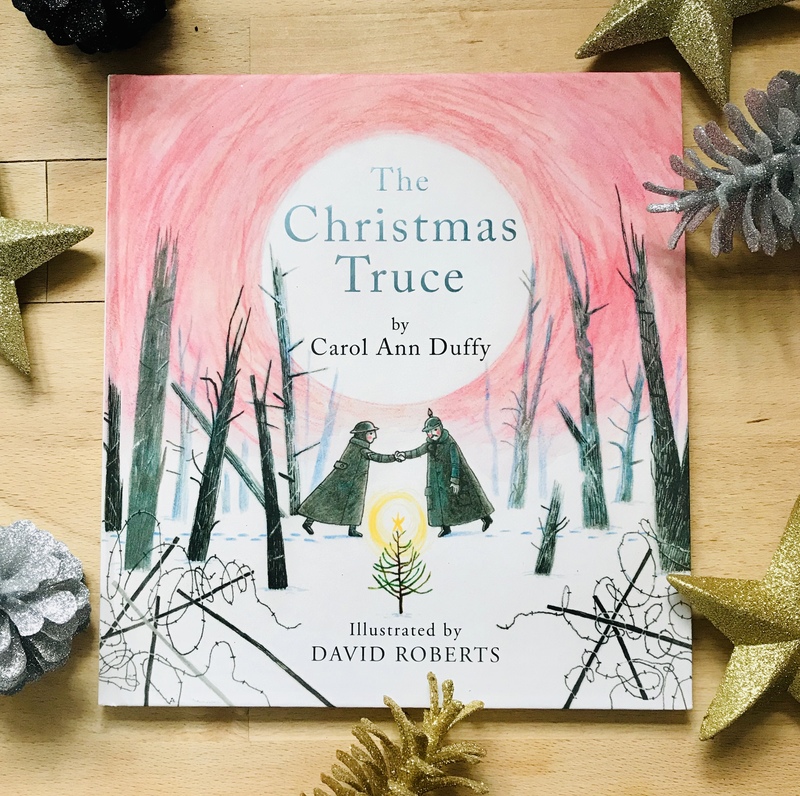 It’s The Christmas Truce by Carol Ann Duffy, illustrated by David Roberts (Picador 2014). The first time I learned about the historical true-life story, the Christmas Truce, was from a film called Joyeux Noël / Merry Christmas (Christian Carion 2014). It has become my favourite Christmas story ever since. The event took place on the Christmas Eve 1914 in the trenches of World War I. Scottish, French and German troops spontaneously and unofficially ceased fire and a Christmas miracle happened. The soldiers crossed the barricades to shook hands with enemy, share songs, swap gifts, and play football! Carol Ann Duffy, who is one of the most celebrated British poets, turned this miraculous story into a beautifully poignant poem. It mourns the cruelty of wars. But it also celebrates humanity and our hope for peace. To confess, I’m not a big poetry person, but Duffy’s style so lyrical and accessible that you don’t feel like you’re reading a poem. I love David Roberts and his unique style with keen eyes for fashion that makes the old look modern (check out his version of The Wind in the Willows – Oxford University Press 2015) The illustrations so sweet that make the heavy subjects accessible to young readers, but they are equally sad and harsh where needed. His choice of muted colour palette perfectly captures the poignant tone of the poem. This year marked the 100th anniversary of Armistice Day. What book could be more appropriate to share a story about friendship and peace with kids this Christmas?